Penne Rigatoni - 1 kg. 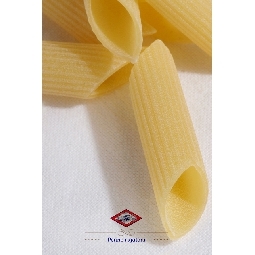 Setaro pasta factory still produces the Pasta with handicraft systems, respecting nature and tradition. 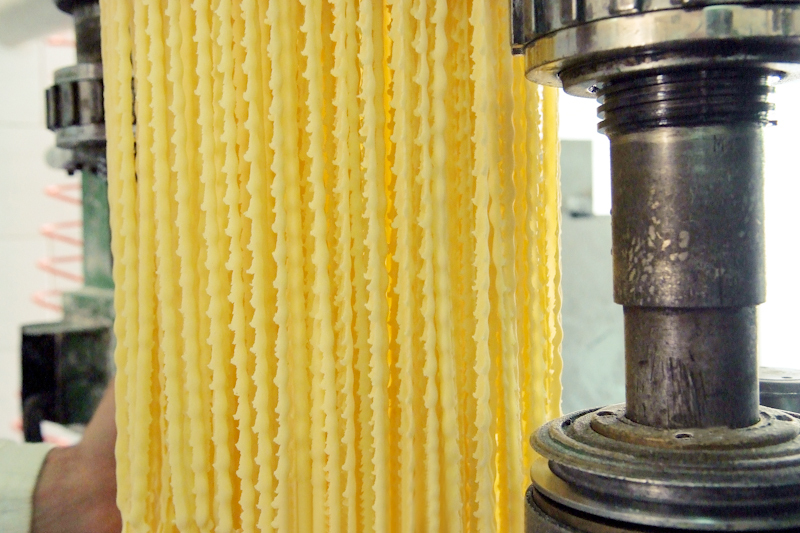 There are many components that make the taste and quality of the pasta produced unique: the selected durum wheat semolina, pure water, ancient bronze dies, the very slow process of pasta drying (from 24 to 120 hours depending on the shape) and at low temperature, the "special" climate in Torre Annunziata and not last the knowledge of the white art passed down for three generations; it has been since 1939 in fact that Setaro family devotes his life to this activity. Its secret is a determined attachment to the tradition that makes possible the production to be made in bronze wire drawing machineries of the 30s still nowadays, with a regulation of the temperature still controlled by a person. The artisanal method of drying of Pastificio Setaro keeps unaltered the organoleptic properties of the pasta, guaranteeing the original taste.